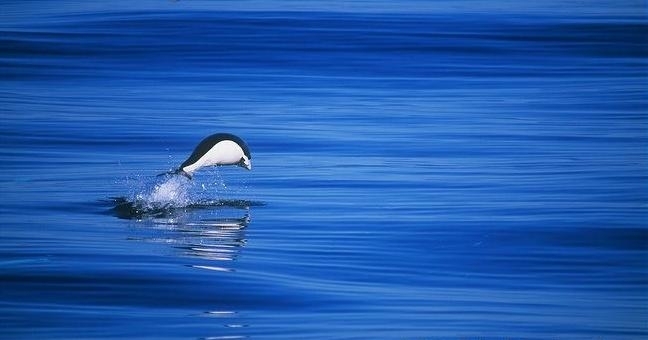 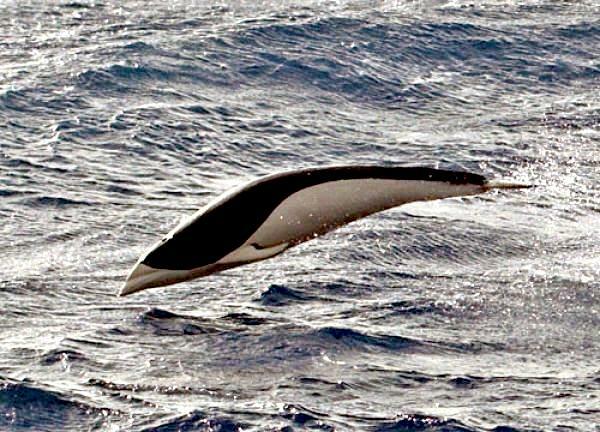 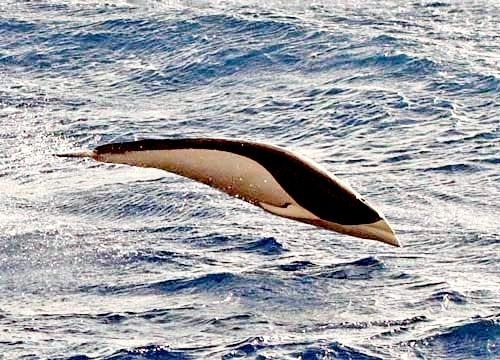 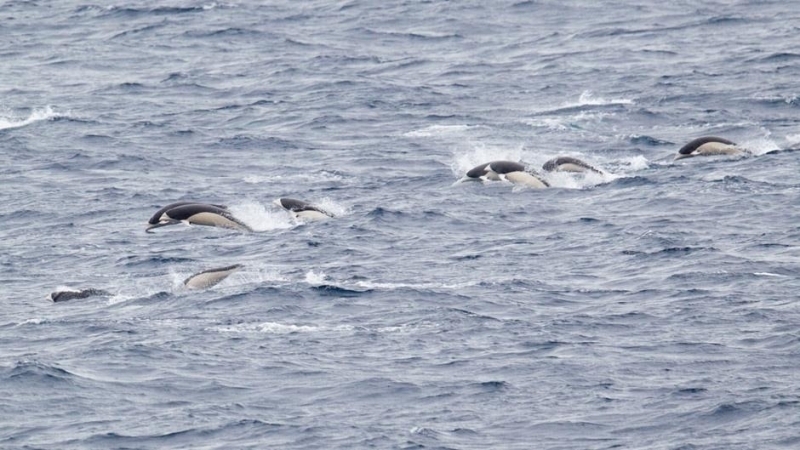 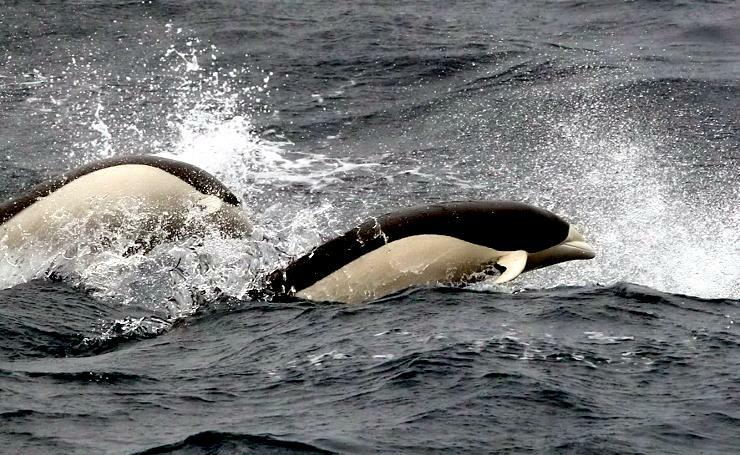 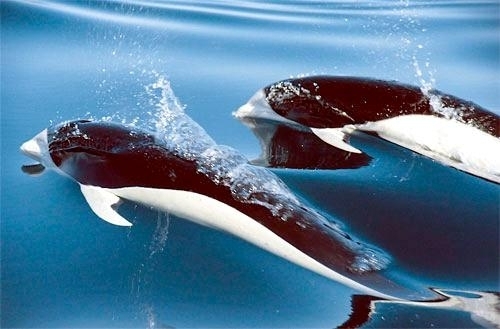 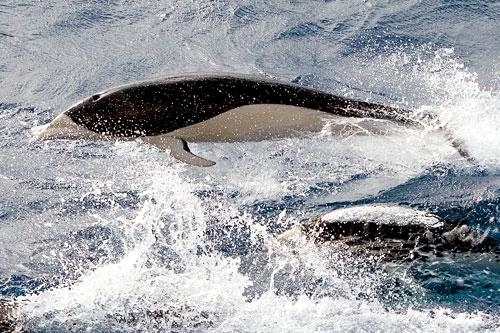 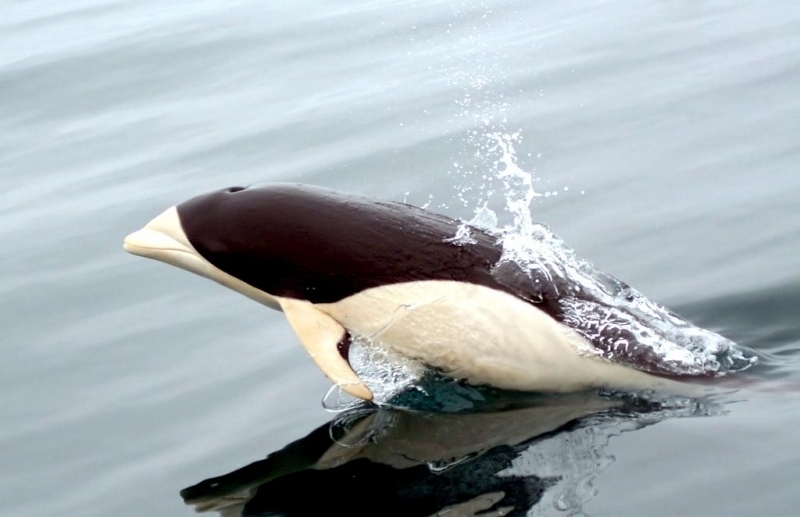 The Southern Right Whale Dolphin is also known as the “Mealy-mouthed Porpoise”. 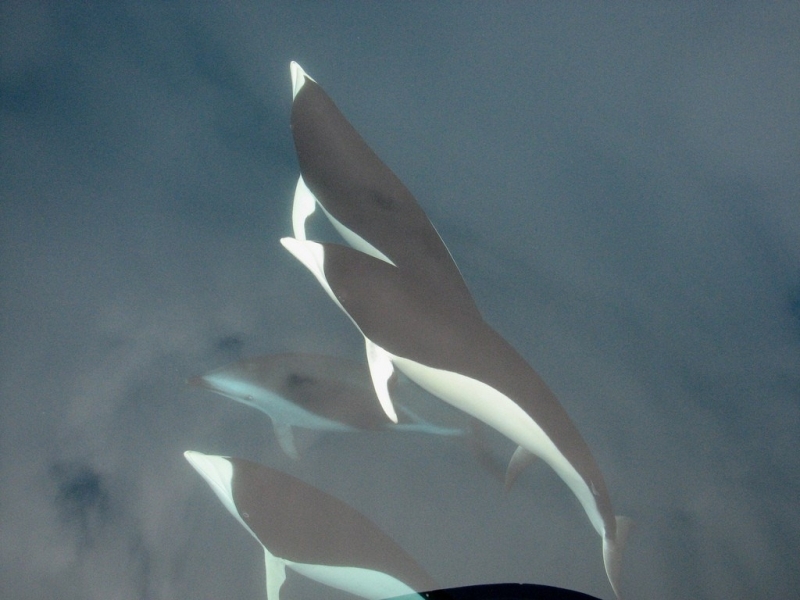 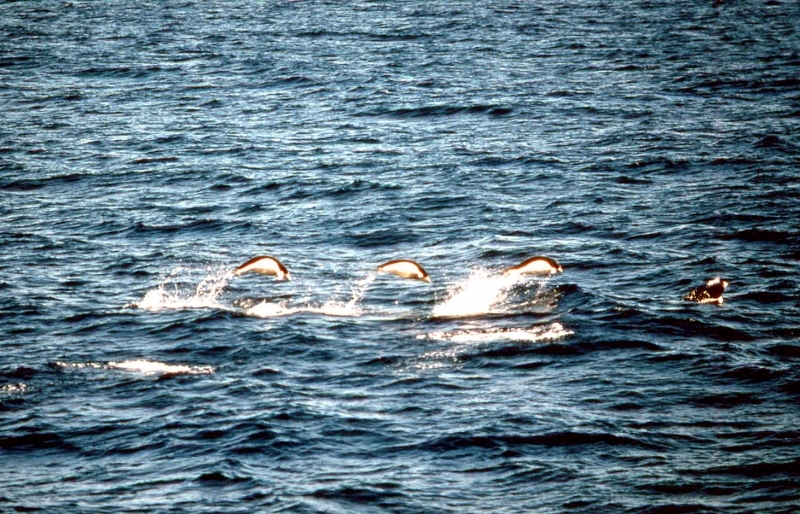 These particular mammals are the only dolphins in the Southern Hemisphere without a dorsal fin. 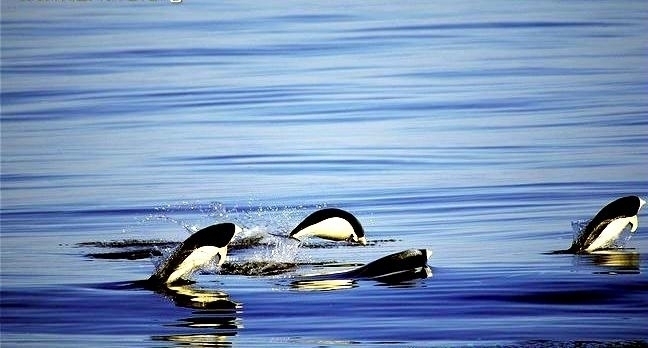 They are black on their upper bodies and white underneath. 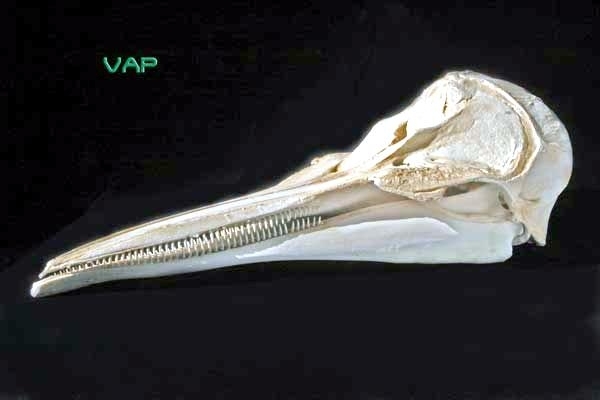 The beaks of these dolphins are small & distinct with 43 to 49 teeth in both the upper and lower jaw. 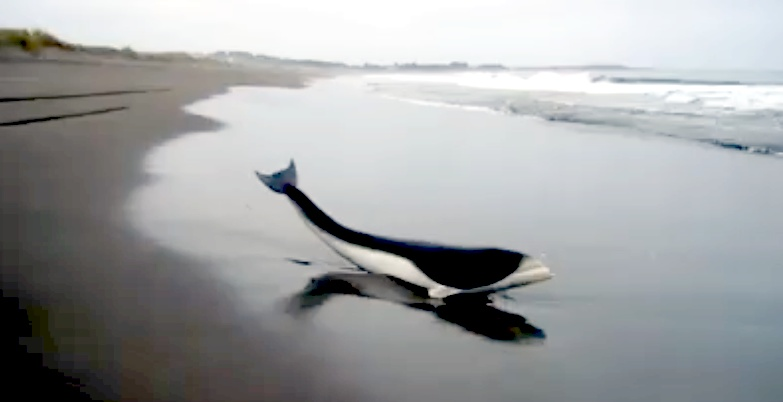 Their flippers are mainly white, small and noticeably curved. 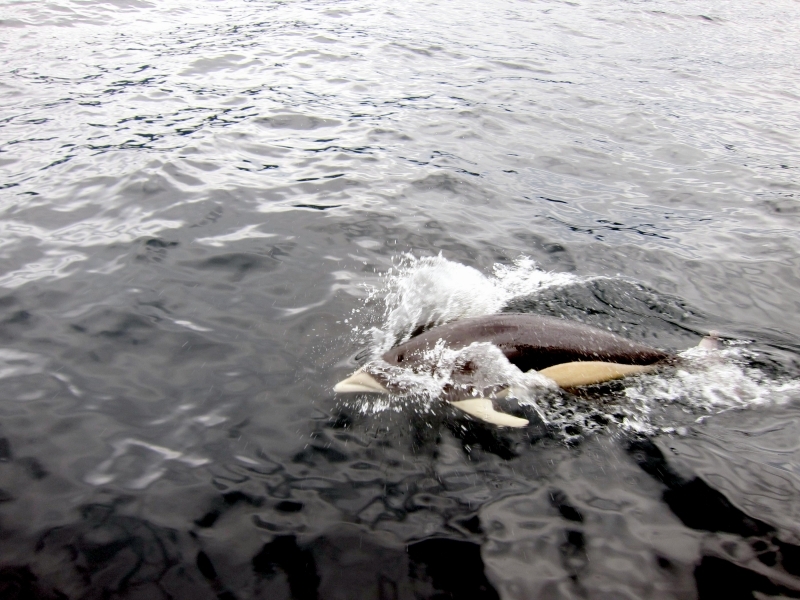 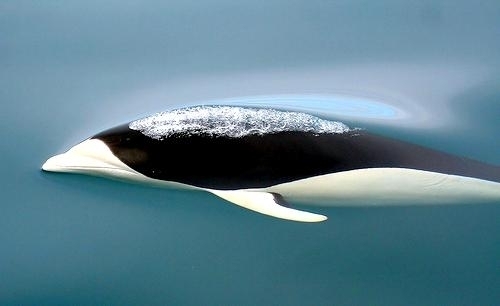 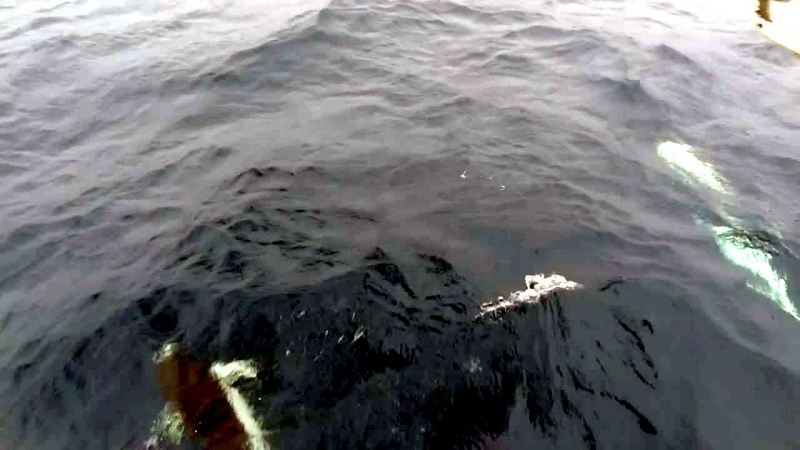 The tail or fluke on the Southern Right Whale Dolphin is small with a notch in the middle. 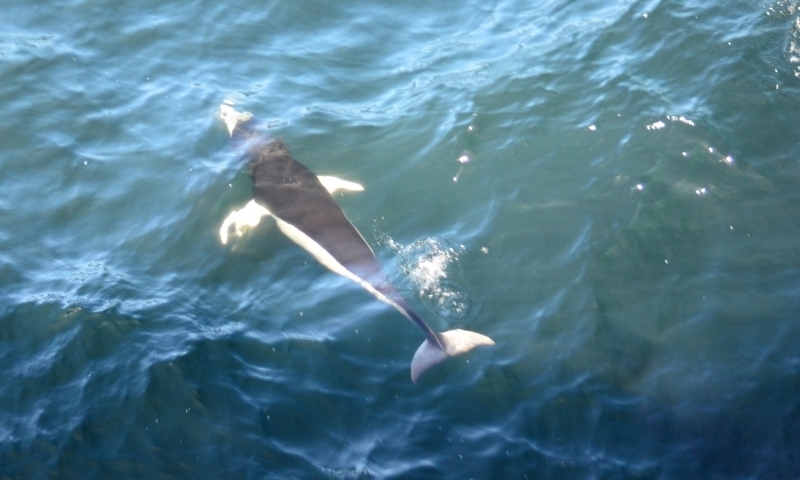 This dolphin has a slim body which allows them to be fast and graceful swimmers. 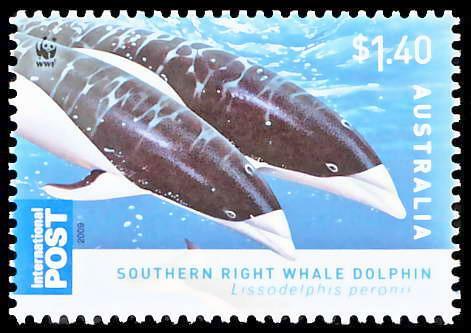 Southern Right Whale Dolphins are smaller than the Northern Right Whale Dolphins with an adult weight between 130-220 pounds and an adult length between 6 to 9.6 feet. 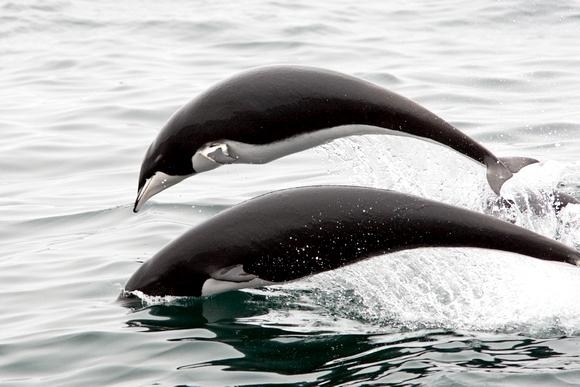 The adult female is typically longer than the adult male. 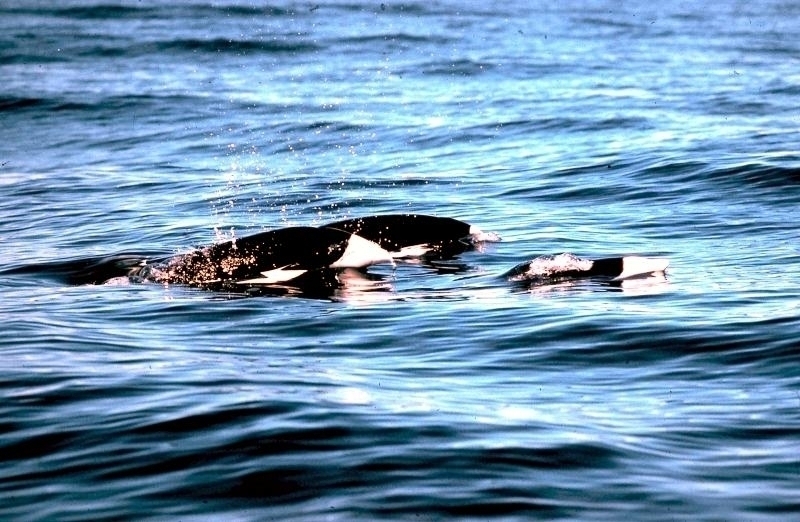 Newborn calves, which are born brown or dark grey in color, changing within the first year of life to adult coloring and is 32 to 39 inches in length while the birth weight is not known. 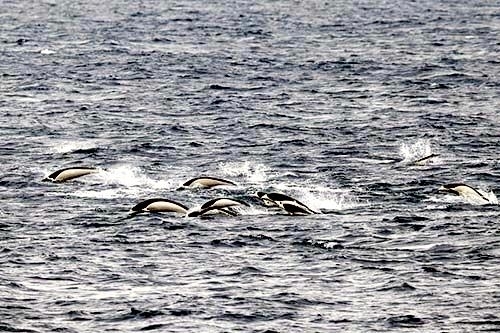 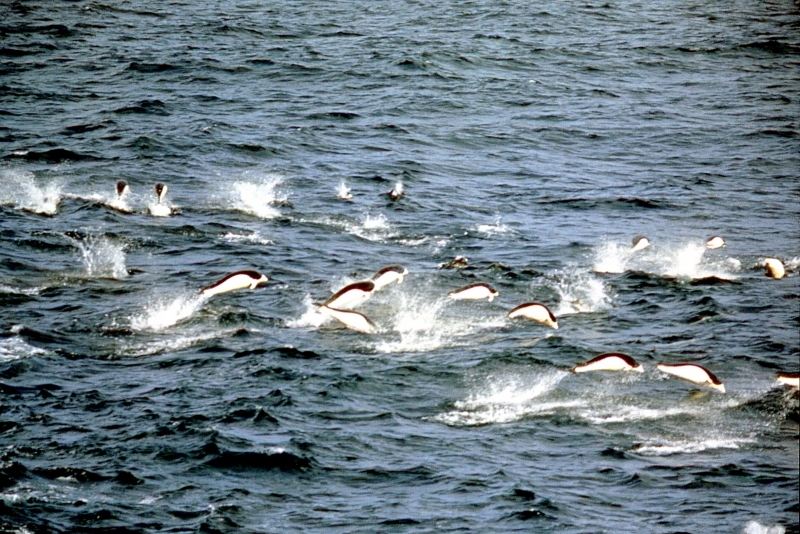 The Southern Right Whale Dolphins live in pods of 20 to 1,000 and have even been reported to have up to 3,000 together in a super pod. 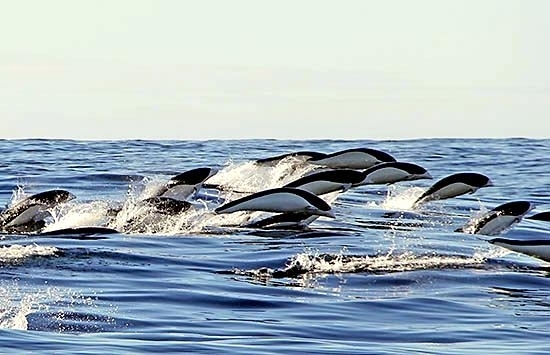 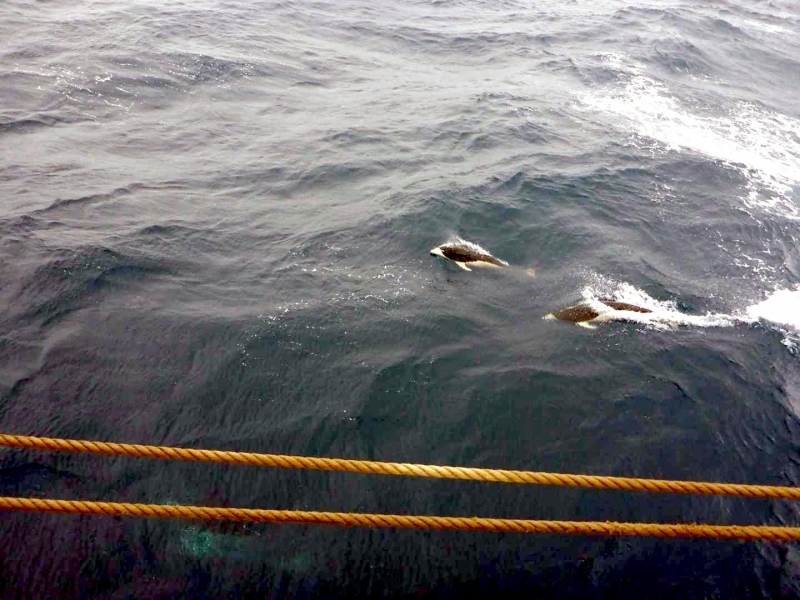 This dolphin species are often spotted together with the Hourglass Dolphins, Dusky Dolphins and Short-finned Pilot Whales in cool, deep offshore waters. 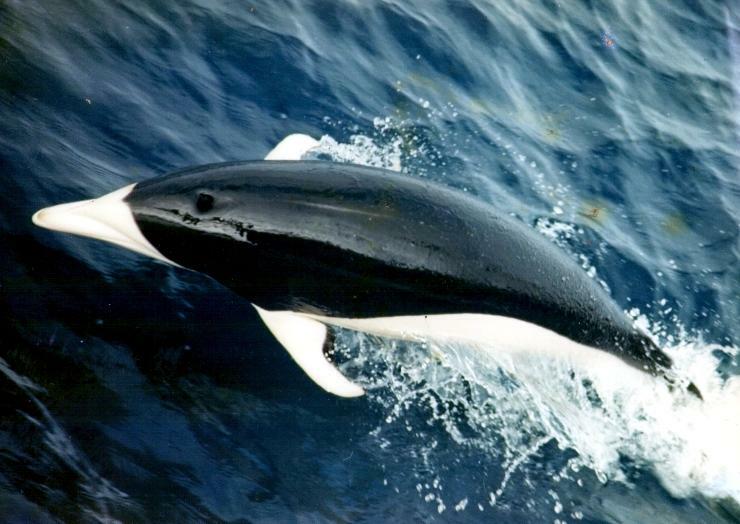 They have a diet of fish, squid and octopus with their favorite prey research has found to be the Lantern Fish. 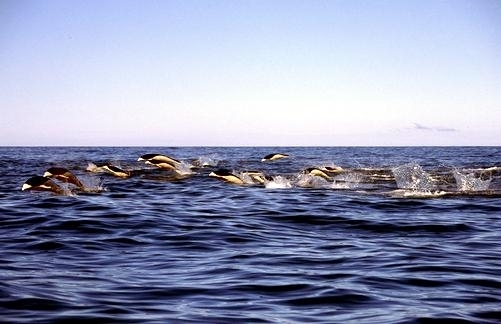 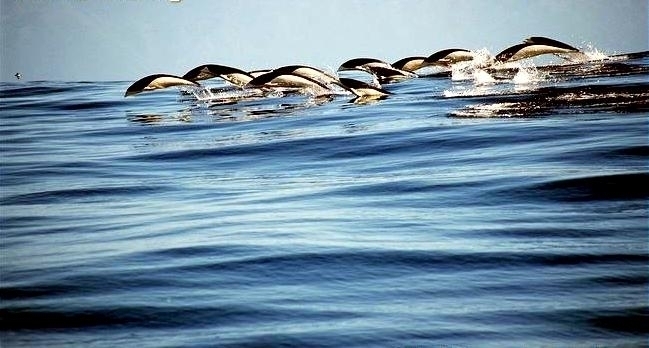 Southern Right Whale Dolphins are very graceful swimmers and move most often by leaping out of the water continuously. 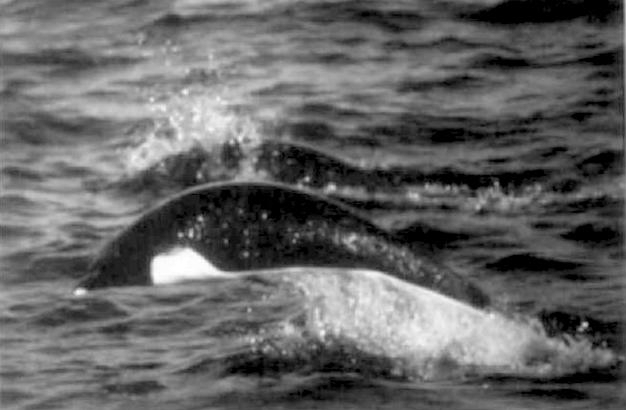 They are not known to approach boats or humans very often but have been seen bow-riding rarely. 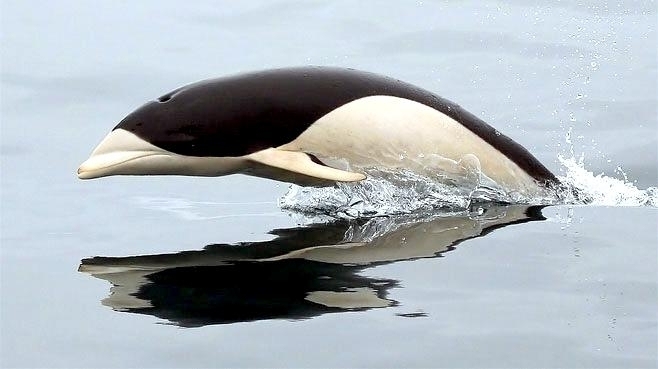 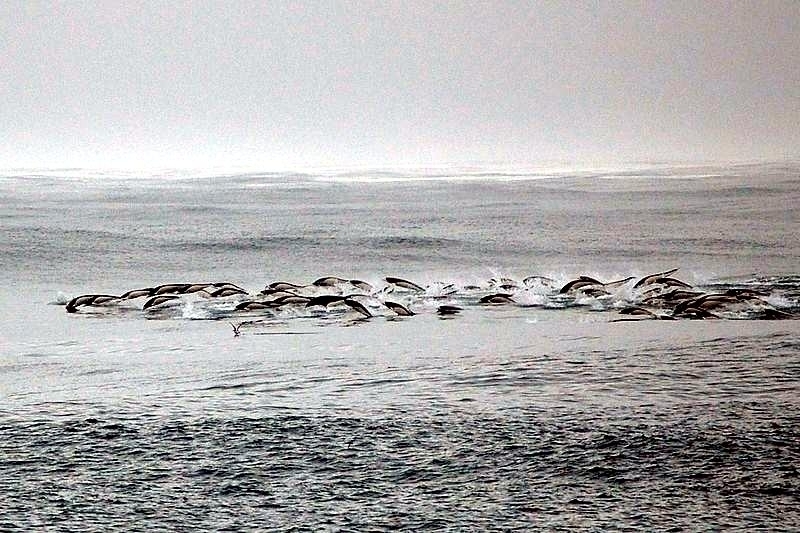 This particular breed of dolphin, are threatened by humans along the coasts of Peru and Chile where they are used for human consumption and crab bait. 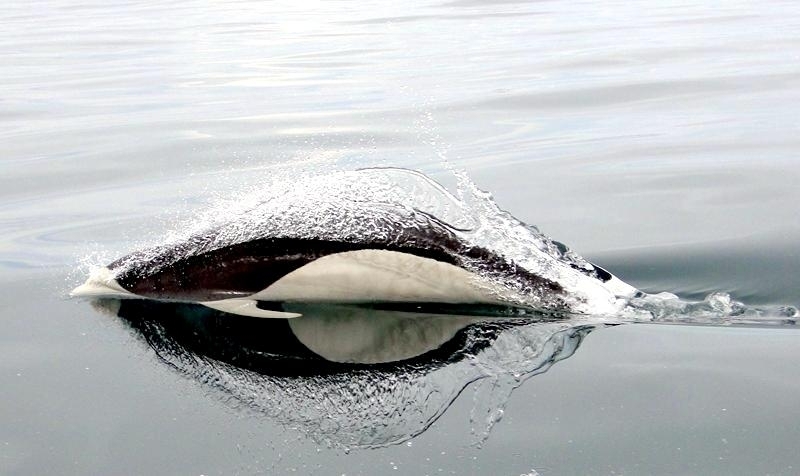 They are also threatened by drift nets used by fisherman around the coasts of Chile, Peru and Southern Africa. 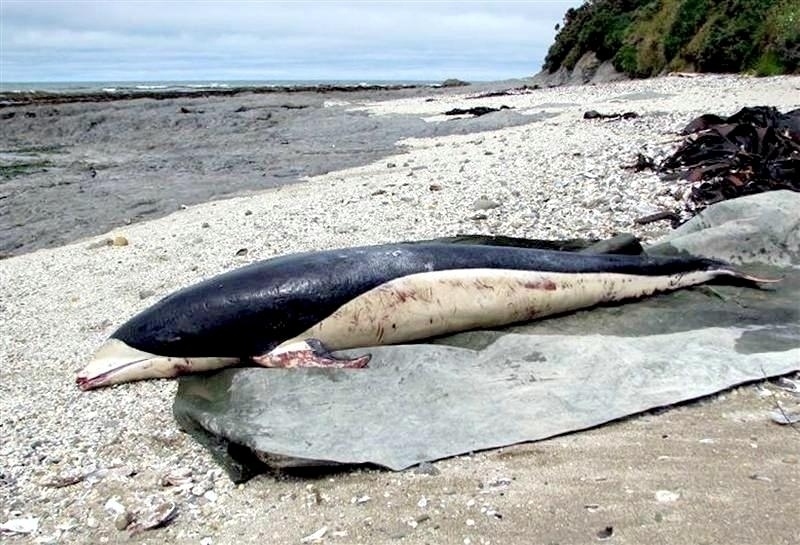 Southern Right Whale Dolphins are a poorly known species and seems to be threatened mainly by fisheries in Chilean & South African waters but there aren’t any population estimates. 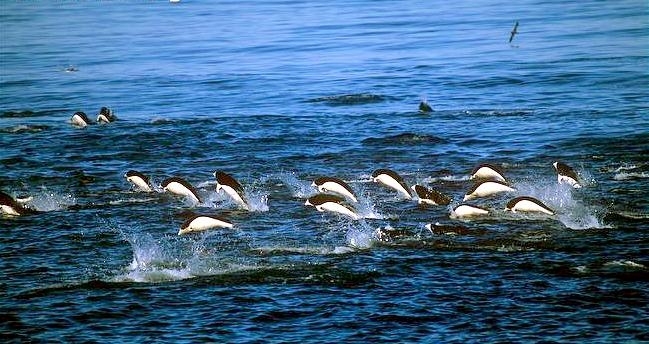 This makes it difficult to know the exact number of their population and whether it is increasing or decreasing.